Node.js is one of the most innovative and fastest growing new programming technology in recent years. We love it and do perfectly understand why there are everyday more programmers that work with NodeJs, usually for the development of the backend for mobile, APIs and similar applications. In guebs we offer the possibility to host your Node.js applications quickly and easily. Their deployment is really simple and the performance is very good. 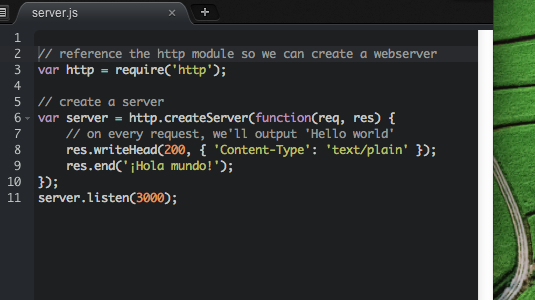 Both our hosting plans and reseller plans offer support Node.js. Currently, our hosting and reseller plans allows you to choose between 0.10, 0.12, 4.x, 6.x and 8.x versions of NodeJS. In addition, you can use NPM to install the modules you need.